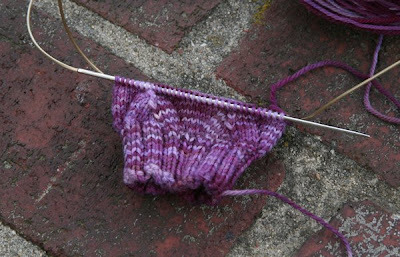 I started a new sock on June 3rd. Two weeks later, this is how much I've done. That's a total of 24 rows. After taking the picture, I knit a few more rows out of guilt.